Can Sound Transit projects be completed early? Will ST3 car tab fees come down? What impact will the Trump administration have on funding Seattle-area infrastructure? Mike Lindblom answered your transit-related questions. 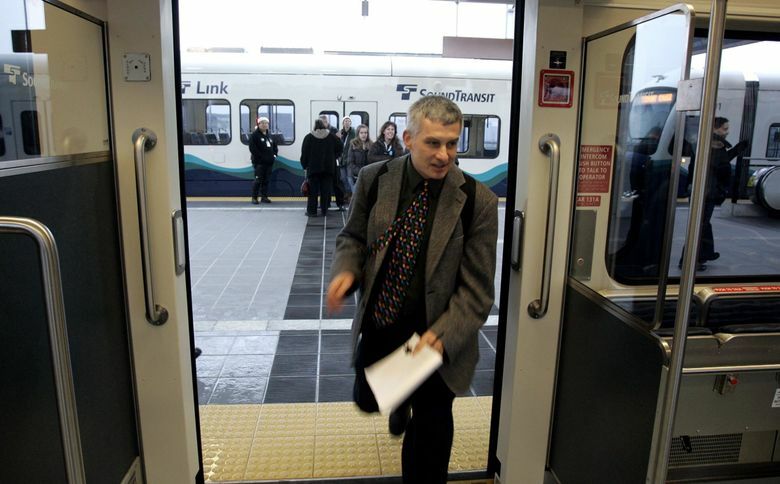 Mike Lindblom has been covering transportation for The Seattle Times for 15 years. Around the newsroom, he’s known as the walking encyclopedia on all things transit related: trains and automobiles… and bikes and ferries and Bertha. Bring up the one-of-a-kind six-way track platforms for Sound Transit’s future light-rail on the I‑90 floating bridge and you’ll hear genuine excitement in his voice. Reddit users got a glimpse into Lindblom’s transportation geekiness during a Thursday question and answer that focused largely on Sound Transit projects. Below are some of the highlights. Q. There’s been a lot of fuss about the price of car tabs since Sound Transit 3 passed. Any chance that the push-back will result in an adjustment in how the assessments work? A. Yes, I think it’s quite possible the Democratic majorities will push through some modest car-tab relief, similar to last year’s bill that would rebate what drivers overpay, due to the inflated value schedule. (I would have gotten back about $40 on a 2013 Chevy Cruze.) After Manka Dhingra’s win in the 45th District, that bill can rally the D’s as a way to hold the political center, without crippling Sound Transit much. Q. Is there serious discussion about charging for parking at transit stops? Given the budget hole, the car-tab controversy, lots that are routinely full by 7:30 or 8:00 a.m., and the fact that commuters in every city with real transit are used to paying for their parking, it seems like a necessary move. A. Sound Transit keeps discussing it, but parking fees are such a political hot potato (they make me pay twice!) that they never seem to launch some. Current talks are about starting fees when Northgate Station opens in 2021. Also, the board is intent on some kind of ORCA-based or other way to give discounts or rebates to low income parkers, and of course carpoolers. Q. What’s the chance some of Sound Transit parking garage costs could be off-loaded onto the cities? A. Not very high. In the case of the Northgate-Lynnwood line, 2,300 new spaces were promised in the federal “Record of Decision” to be built in the cities. So reneging on that might put Sound Transit crosswise with the USDOT and require redoing environmental reports – at a minimum. Probably more hassle than that. But…..some of Sound Transit’s own internal brainstorming recommends trying to offload certain cost, such as awnings on skybridges, onto the cities. Read about the soaring costs for Sound Transit’s Kent park-and-ride garage. Q. Think light rail on 520 Bridge and the Cross Kirkland Corridor is likely? What’s the soonest that could happen? Are we talking after 2050? A. Yes, probably after 2050. The new 520 bridge was designed so trains could be added to the deck someday. You would probably need to cantilever the road decks over the sides of the bridge if rail is to supplement the six-lane bridge and shoulders, rather than replace those. Also, there is capacity for additional pontoons to be added, stabilizing the 520 bridge sideways. Then you must plunge or fly the trains on an additional guideway or tunnel through the silty slop near Montlake, and then connect with UW Station. I believe the chances are near zero that light rail will run across 520 in my lifetime. (I was born in Seattle in 1962.) The bridge corridor won’t be done until the late 2020s anyway. No funding source exists to add rail. A Sound Transit 4 measure next decade is more likely to promise a cross-Seattle line under Wallingford, and Eastside service to either Renton or Totem Lake – as opposed to a shared line across the water. Q. I’m wondering how much the future Jenny Durkan administration will actually be able to speed light-rail construction up in Seattle. Durkan has made campaign promises to expedite construction. What do you think the best case timeline is? Most likely? A. Sound Transit’s stated goal of 2030 for West Seattle, and 2035 in Ballard, would be quite an accomplishment in themselves — when you consider the dogfights ahead about whether to build a $600 million tunnel under Salmon Bay, and the West Seattleites (my hood) who will object to overhead trackways. 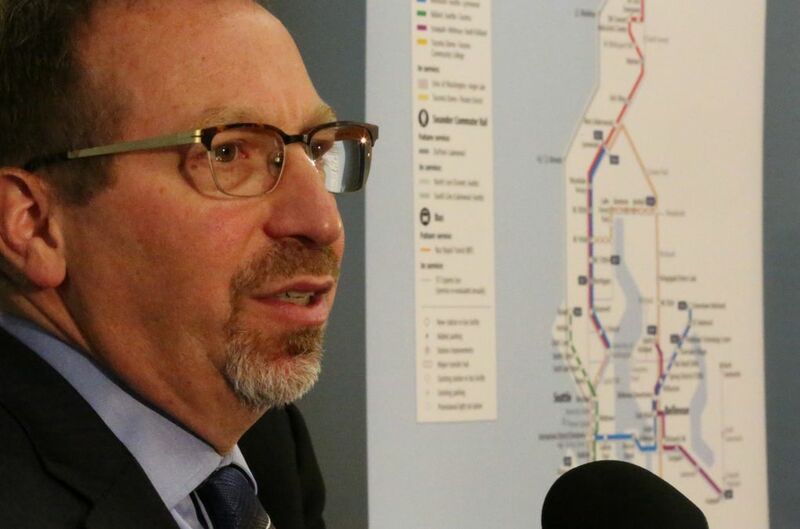 Also, Sound Transit CEO Peter Rogoff has said in speeches that process slowdowns are the main threat, and he’s not especially enthused about city proposals that would increase the overall debt for Ballard/West Seattle. Here’s more on Durkan’s transportation policy ideas. A. The City Council will have much to say about whether Seattle unites on some basic alignment choices during 2018, as Sound Transit is warning them to do. The council, like most local governments, hear constantly from interest groups and neighbors, very little from taxpayers and users. Here is a list of the ways Rogoff tells Seattle it can keep ST3 train construction on schedule. Look closely, and it says things like the city should avoid adding to or challenging the decisions of the transit board. Q. How will President Trump’s administration effect funding for transit projects in our region? What will the time/cost impacts be? A. Sound Transit appears to have already lost one year to the Trump Administration core value of not contributing to local transit. However, USDOT Secretary Elaine Chao hasn’t personally crusaded for such cuts, and the transit grant programs have somewhat bipartisan support on Congress. The project could get back in the lineup next year for the $1.1 billion. More in my May story here. Q. To help offset costs, is Sound Transit attempting to integrate any private development into any of the stations? For example, could they allow a developer to buy air space around and above the tracks to build housing or office space? A. Something like this is happening already at Capitol Hill Station, albeit with requirements for social housing and community offices, farmers market space and so forth. It’s been based on Sound Transit evaluating proposals, as opposed to raw developer bidding. The Daily Journal of Commerce ran a story this week about 15-story or higher rezones and scenarios at Northgate Station. 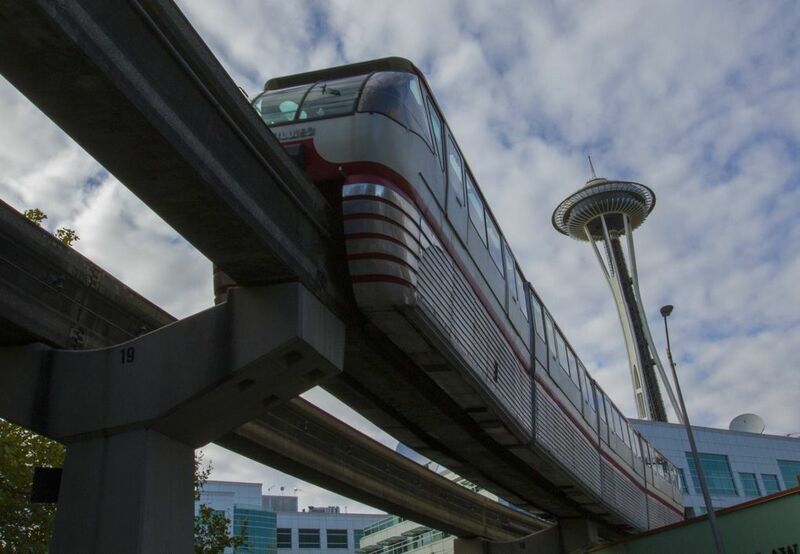 Q. Wasn’t Seattle going to make the Monorail part of the ORCA fare system at some point? A.Yes. One of ex-mayor Ed Murray’s last acts was to propose doing so, which might boost ridership 16 percent. (More if the Key Arena rebuild happens). Here’s his report, though it doesn’t say how much money it takes to install ORCA hardware. Q. I live in Shoreline smack dab between the 2 new stations. There’s a tone in the media that cities like Shoreline are making unreasonable demands for amenities at the stations that will be built in their communities. I’d like to know specifically what Seattle asked for and got/didn’t get at their stations, and how those features compare cost wise to what Shoreline and Lynnwood are asking for. Some things like wetlands protection are required by law, and other things are not. A. A lot of that tone is my doing. Sound Transit has been in business for 20 years now, and only built from Husky Stadium to Angle Lake. Anything that adds cost and schedule can be questioned. Some demands are reasonable, some not, and the debate is subjective. As for Seattle, the project will spend a few million extra to reduce noise and blockage at the Latvian Church near Northgate, and also at Northeast 130th Street where Councilmember Debora Juarez got a future station wedged into the plan. The station requires a bit more land, utility, and foundations work now, so there will be enough room to build passenger platforms later. Q. 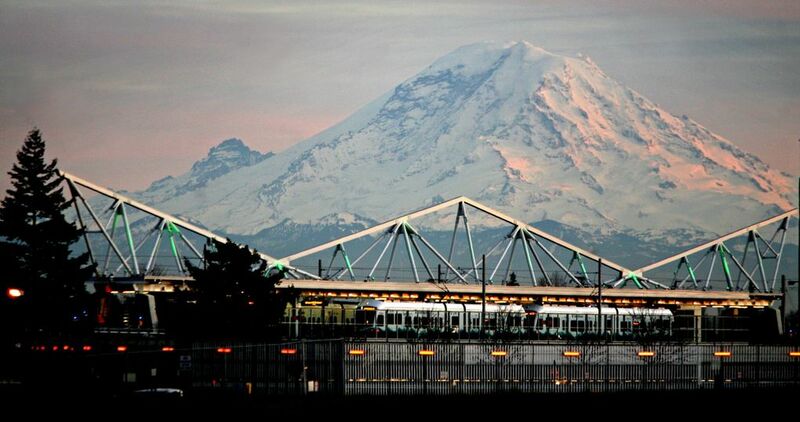 The Port of Seattle takes a lot of flak for the light-rail station placement at Seattle-Tacoma International Airport. I’d like your input of why the station is where it is. A. When that was all being engineered, Sound Transit was low on money and political capital. The Port was just starting to think about north-side terminal expansion and didn’t want interference. Those factors added up to staying next to International Boulevard South, instead of more money and effort to deliver trains under or along the terminal building. That said, it’s not a bad outcome. The present location is no farther to walk than many parking-garage stalls, and it allowed Sound Transit to continue to build efficiently toward Angle Lake. And if you care about communities and social equity, there are hundreds of working people in apartments near International Boulevard who walk or ride the A Line bus to this station everyday. But the Port and Sound Transit could/should have moved more aggressively to help people who have trouble walking, to cover the distance into the terminal from the trains. Q. Do road diets really work? It sure feels like traffic is slower and more congested on 23rd Ave post-diet (especially during rush hour). With all the new traffic coming to 23rd & Union do you feel this was a wise choice? A. Depends on what you mean by “work.” I haven’t driven or walked 23rd very much so can’t judge. The city officially prioritizes walking over car speed, though the @seattledotr might argue about that. The Fauntleroy Way road diet was feared to cause huge delays for ferry users, but in fact those have been minimal and the street safer. Q. Are Seattle Police, especially Officer Glen Mulkey, writing bike helmet tickets anymore? This decline seems pretty strongly correlated to the stories about him in mid-2015 by Gene Balk. A. I believe the bike helmet tickets are on hiatus…. Q. No questions here, I just wanted to thank you for doing such a good job on your articles. I’m a construction engineer and you go into the level of detail I need to figure out what’s going on, without going too in-depth to confuse the general public. A. The Seattle Times, and my editor, are unusual that way. They let me pander to the engineers and armchair engineers out there. Few if any regional papers would print this story about the exotic, six-way track platforms that Sound Transit will build on I-90. If you’re like the construction engineer who asked the last question, you’re not alone. The American Society of Civil Engineers also appreciates Lindblom’s in-depth reporting.